If you are injured in a car accident, you may be entitled to damages which can include future medical expenses and loss of earning capacity. However, Florida law requires that you must present sufficient evidence that a jury could, with reasonable certainty, determine the amounts of future damages. Florida courts will not allow speculative future damages that are unsupported by the evidence – no matter how seriously a person is injured. 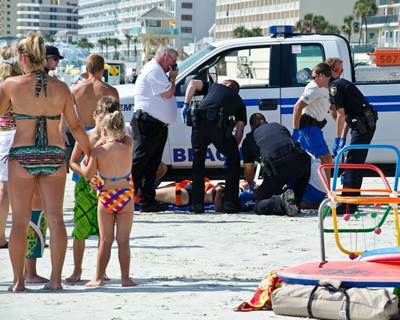 Consider the case of Erin Joynt who was severely injured when she was run over by a Volusia County Beach Patrol truck while sunbathing at the beach. She was vacationing with her husband and children from Kansas when a lifeguard ran over her head and body. Ms. Joynt suffered a fractured skull, memory loss, broken ribs, and a collapsed lung. She continued to have a lingering paralysis on the left side of her face. Her story received international attention. Joynt filed a negligence suit against the County, seeking damages for the injuries she suffered. After a four-day trial, the jury awarded $2.6 million in compensatory damages, broken down as follows: $2 million for past and future pain and suffering; $500,000 for diminished earning capacity, and $100,000 for future medical expenses. Volusia County appealed the verdict. Specifically, the awards for diminished earning capacity and future medical expenses were challenged. The Fifth District Court of Appeal reviewed the trial evidence, or lack of it, and agreed with Volusia County. It held that Ms. Joynt failed to meet her burden of proof. The court found that the jury was not presented with sufficient evidence to determine, with reasonable certainty, what her diminished earning capacity or medical expenses would be in the future. The court concluded that those portions of the jury’s verdict should be stricken from her award. Ms. Joynt’s case demonstrates a very important point. To obtain the full value of damages, you have to prove each element. To prove your damages, an expert’s testimony is usually required. Your treating doctor is often the best witness to tell a jury what your future medical expenses will be. The doctor’s opinion needs to be supported by the facts and his/her education and experience. A forensic accountant or economist can be of great assistance to a jury in determining your diminished earning capacity in the future as caused by the defendant’s negligence. Wolfson Law Firm is a Miami personal injury law firm located in Miami, Florida that practices entirely in the field of all types of accident, injury, and wrongful death cases. The firm routinely accepts trial referrals. It is a boutique law firm that represents clients, giving them the utmost personal attention. Wolfson lawyers help clients in all parts of insurance, injury and wrongful death claims, handling cases from initial investigation, through trial, and even appeals.